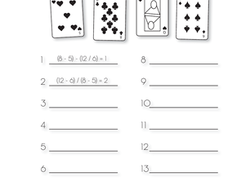 Here's a more challenging review of times tables for master maths students. 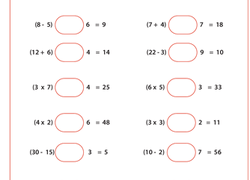 Each problem is a combination of multiplication and addition. Write Equations: What Equals What? 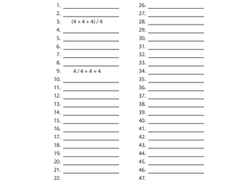 In this worksheet, students will be given an expression and asked to write another expression of equal value to create an equation.